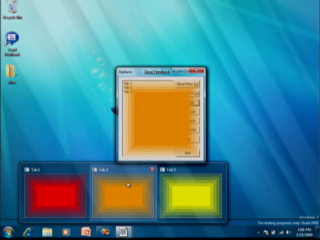 This is the six and last screencast in a series of Windows 7 screencasts for showing developers how to use the taskbar to Light Up their applications on Windows 7. 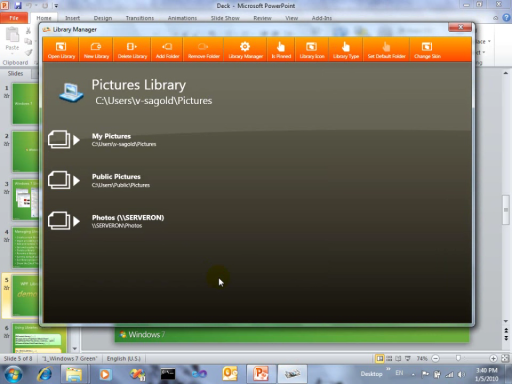 Out of the box, the Windows 7 taskbar provides support for tabbed thumbnails. 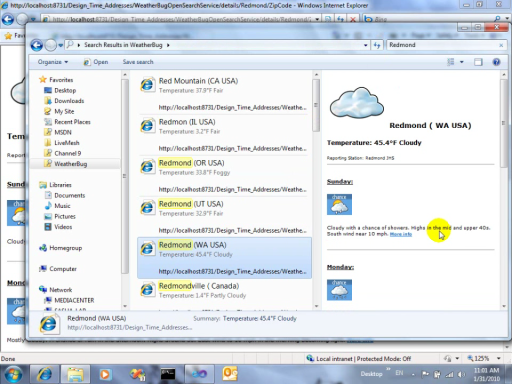 For example, when Internet Explorer uses tabs, they show up on the taskbar preview as if they were regular windows. 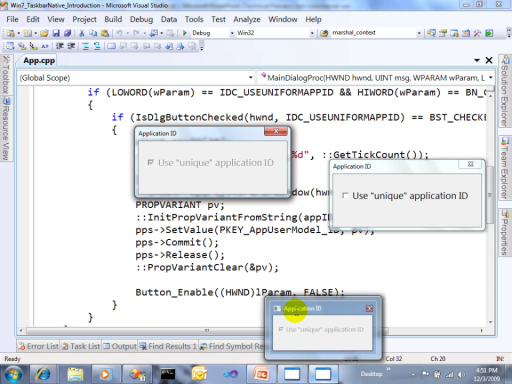 Cool as this functionality is, it doesn’t come for free. 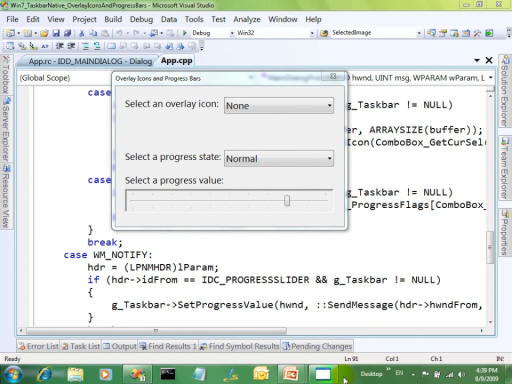 As a developer, you need to manage these tabs and make sure they appear on your application's taskbar button. 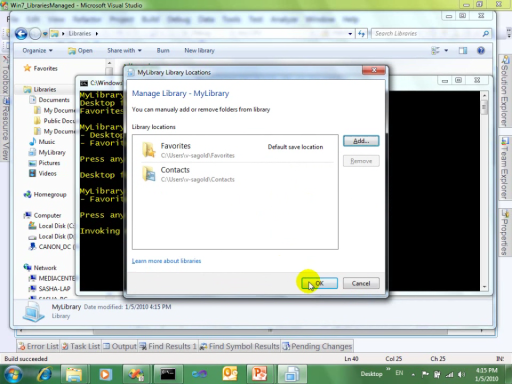 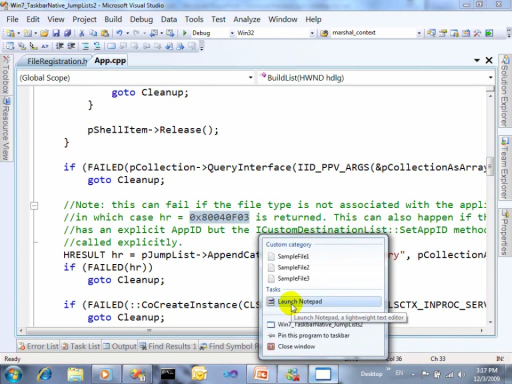 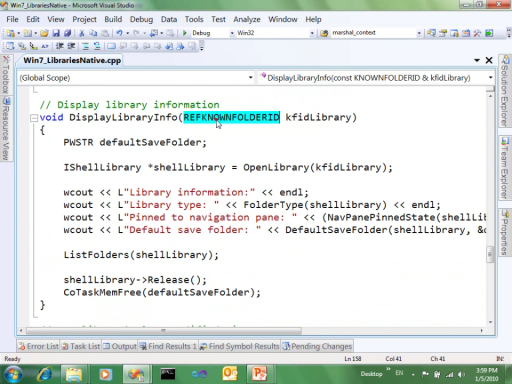 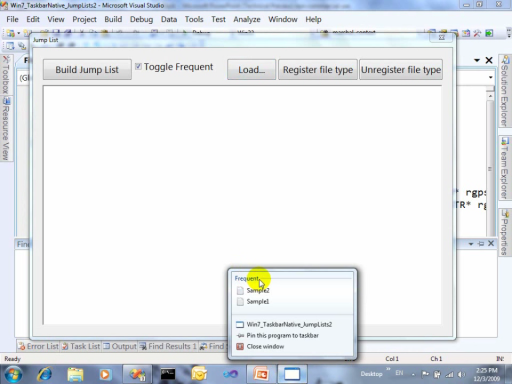 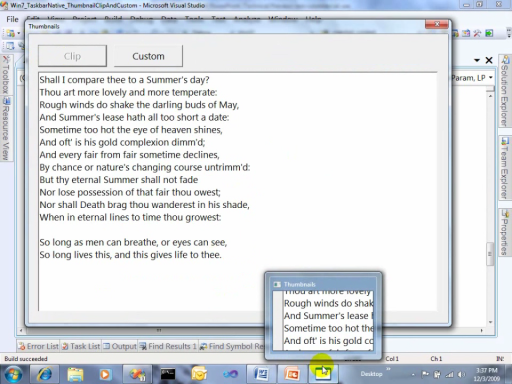 This screencast shows you how to add tab support to your application.